Thyroid hormones affect nearly every system in the body and have a profound influence on metabolic rate and overall health. Because of this, conditions such as Hashimoto&apos;s thyroiditis can cause symptoms that negatively affect quality of life. Is a low-carb or keto diet helpful or harmful for people with Hashimoto&apos;s disease or other hypothyroid conditions? This article will explore the impact of keto and low-carb diets on thyroid health in different populations, along with providing guidance for optimizing thyroid health. What Are The Functions of the Thyroid Gland Hormones? The thyroid is a small, butterfly-shaped gland situated at the front of the base of your neck. It&apos;s also been compared to a small bow tie in terms of its shape and location. 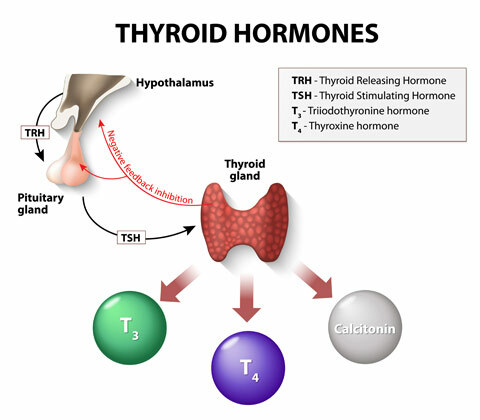 The thyroid gland&apos;s function is to take the mineral iodine and combine it with the amino acid tyrosine to form monoiodothyronine (T1), diiodothyronine (T2), and the two major hormones, triiodothyronine (T3) and thyroxine (T4). Although the thyroid gland produces more than four times as much T4 as T3, only T3 is considered the "active" form of thyroid hormone responsible for its many effects. Moreover, T4 can be converted to T3. When needed, T3 and T4 are bound to a protein called thyroid-binding globulin (TBG) and released into the bloodstream to be transported to tissues and organs throughout the body. In the liver and other organs, most of the T4 is converted to T3, which binds to specific receptors in your cells and produces a number of metabolic effects. However, some of the T4 is converted to reverse triiodothyronine (RT3). RT3 is essentially an inactive "mirror image" of T3 that can bind to the T3 receptor and block its effects. Although the conversion of RT3 is normal, elevated RT3 levels are often seen in times of stress or illness. When thyroid hormone levels are too low, your brain&apos;s hypothalamus releases thyrotropin-releasing hormone (TRH), which stimulates the adjacent pituitary gland to produce thyroid-stimulating hormone (TSH). TSH then triggers the thyroid gland to increase its production of thyroid hormones and release them into the bloodstream. By contrast, when circulating thyroid levels are higher than needed, the hypothalamus and pituitary gland produce and release less of these hormones, thereby decreasing the amount of thyroid hormone in the bloodstream. However, in the case of thyroid disease, this system doesn&apos;t function the way it&apos;s designed to. There are several types of thyroid disorders, but the two most common are Graves&apos; disease and Hashimoto&apos;s thyroiditis. Untreated hyperthyroidism can cause changes in heart rate and rhythm that can potentially be fatal. Graves&apos; disease is treated with radioactive iodine, surgery, and/or antithyroid medication. Like Graves&apos; disease, Hashimoto&apos;s thyroiditis (also known as Hashimoto&apos;s disease) is an autoimmune condition. However, instead of making antibodies that trigger the thyroid gland to produce more thyroid hormones, your body makes antibodies that gradually destroy the thyroid gland and impair its ability to make hormones, leading to hypothyroidism. The main antibodies responsible for Hashimoto&apos;s are TPO (thyroid peroxidase) antibodies and antithyroglobulin antibodies. 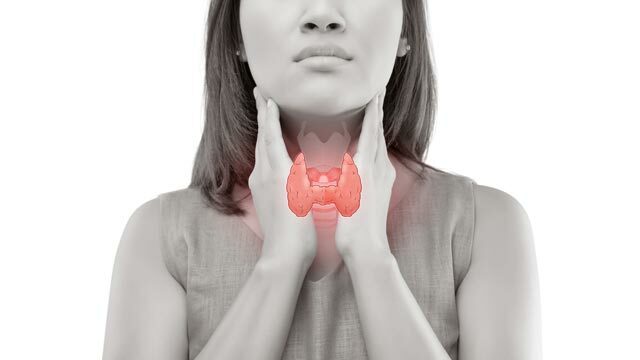 Hashimoto&apos;s thyroiditis is the most common cause of primary hypothyroidism, a condition in which the pituitary gland is making adequate TSH but the thyroid gland can&apos;t produce enough thyroid hormone in response. It is up to 10 times more common in women than in men, affecting an estimated 1-2% of all women (1). The development of Hashimoto&apos;s disease is strongly influenced by genes and environmental factors, such as infections, exposure to certain chemicals and drugs, and nutrient deficiencies. During the period of time that the thyroid is being destroyed, people with Hashimoto&apos;s may occasionally switch back and forth between symptoms of hypothyroidism and hyperthyroidism. For instance, they may go from being sluggish and gaining weight easily to briefly losing weight despite eating more. Over time, however, the entire system slows down as the thyroid becomes underactive and unable to produce thyroid hormones. Hashimoto&apos;s thyroiditis is typically diagnosed by checking for elevated levels of TPO or antithyroglobulin antibodies in the blood. However, research suggests that although about 5% of people with Hashimoto&apos;s don&apos;t have thyroid antibodies in the blood, a thyroid ultrasound or biopsy will reflect changes indicative of the disease. These people tend to have milder hypothyroid symptoms than those with elevated TPO or antithyroglobulin antibodies (2). It&apos;s important to have a thorough lab workup done if you suspect you may have thyroid disease. Here is a list of labs that can help identify thyroid issues. Some people have hypothyroidism that isn&apos;t due to Hashimoto&apos;s disease. Although these individuals typically have similar symptoms as those with Hashimoto&apos;s, their disease isn&apos;t autoimmune in nature. Treatment for Hashimoto&apos;s thyroiditis and other types of hypothyroidism include taking thyroid hormone replacement in the form of synthetic T4 (levothyroxine), synthetic T3 (liothyronine sodium), and/or natural porcine (pig) thyroid (Armour, Nature-Throid, or WP Thyroid). 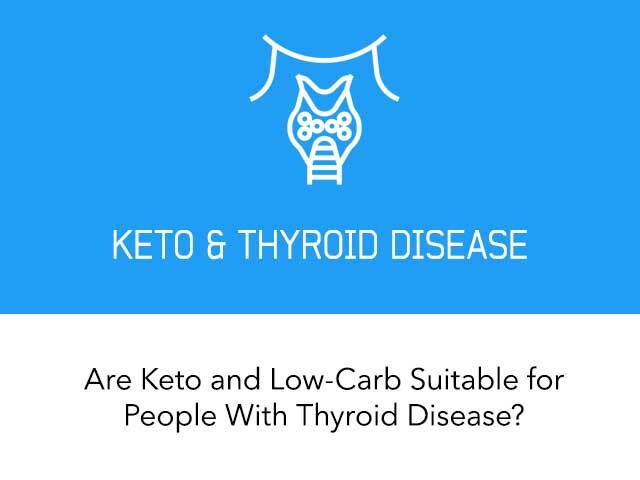 How Do Keto and Low-Carb Diets Affect People With Normal Thyroid Function? For decades, it&apos;s been known that starvation and very-low-calorie diets decrease the level of circulating thyroid hormones in the bloodstream (3, 4). Low-carb and ketogenic diets have also been found to reduce levels of T3 in the bloodstream. This makes sense, as these diets have often been shown to induce physiological changes similar to fasting (5, 6). And although a low T3 level alone doesn&apos;t indicate hypothyroidism, a recent study suggests that reduced thyroid activity may occur in some susceptible individuals who adopt a very strict keto diet. In this 2017 study of epileptic children, 20 out of 120 subjects (over 16%) developed hypothyroidism within 6 months of starting a ketogenic diet therapy and were treated with synthetic T4 thyroid hormone (7). Importantly, the classical ketogenic diet for epilepsy is severely restricted in carbs (typically less than 15 grams per day) and also low in protein. It&apos;s unknown whether adding in 10-15 grams of carb and increasing protein intake would have changed the results. Indeed, decades-old research in healthy people suggests that the magnitude of carb restriction coupled with calorie restriction influences how much T3 levels decline. For instance, a 1976 study of obese people showed that T3 levels dropped significantly during a carb-free 800-calorie diet but didn&apos;t change much on an 800-calorie diet providing at least 50 grams of carbs per day (8). Yet even when calories aren&apos;t restricted, very-low-carb diets often lead to lower T3 levels in the blood. However, studies suggest that physical performance and metabolic rate don&apos;t appear to be affected by this reduction in T3 (9, 10, 11). In one study of overweight type 2 diabetic adults who consumed a diet restricted to less than 20 grams of carbs daily, TSH levels decreased from 1.6 to 1.4 mIU/L, on average. This suggests that the study participants required less thyroid hormone, although T3 wasn&apos;t measured. In addition, they experienced several of the beneficial effects typically seen on keto diets, including weight loss and significant improvements in blood glucose control and insulin sensitivity (12). It&apos;s important to note that the studies that have been done have been small and of short duration. It&apos;s likely that some people experience considerably greater changes in thyroid hormone levels - and their effects - than others do. At this time, the impact of ketogenic and very-low-carb diets on long-term thyroid health remains controversial. Dr. Steve Phinney has suggested that being in nutritional ketosis improves thyroid hormone sensitivity, thus allowing the body to function at lower T3 levels. On the other hand, Dr. Atkins often prescribed thyroid hormone replacement for his patients whose thyroid levels dropped during the very-low-carb stages of his diet. And Dr. Cate Shanahan recommends that carb intake be reduced gradually in order to reduce potentially negative effects on thyroid health. How Do Keto and Low-Carb Diets Affect People With Hashimoto&apos;s Disease? A carb-restricted diet based on whole foods may be beneficial for several autoimmune conditions, including Hashimoto&apos;s thyroiditis. In fact, many people with Hashimoto&apos;s have reported improvement in symptoms after switching to this way of eating. Unfortunately, there is little formal research on keto and low-carb diets for Hashimoto&apos;s at this time. However, what exists is encouraging. By contrast, the low-calorie group experienced a 9% increase in antithyroglobulin antibodies and a 16% increase in TPO antibodies. Additionally, although both groups lost weight, the low-calorie group lost more lean mass and less fat mass compared to the low-carb group. 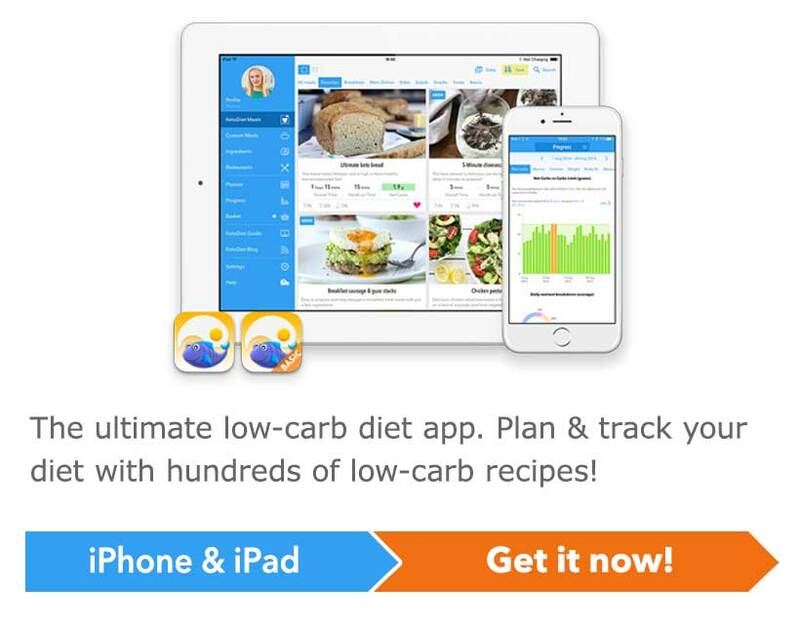 Case studies also support the use of low-carb diets in diabetic and obese people with Hashimoto&apos;s, when used in combination with thyroid hormone replacement (14, 15). Additionally, avoiding food high in carbs and sugar may be beneficial for digestive issues. One case-control study in 45 people found that 73% of those with Hashimoto&apos;s disease displayed evidence of fructose and/or lactose malabsorption that led to symptoms like bloating, cramping, gas, and loose stools (16). How Low-Carb Should You Go If You Have Hashimoto&apos;s Disease? The low-carb diets consumed by hypothyroid individuals in the studies previously discussed contained between 60-130 grams of total carb per day, which is outside the level of ketosis for most people. Many clinicians who work with ketogenic diets for weight loss, diabetes, or other conditions recommend that their patients with Hashimoto&apos;s avoid a drastically carb-restricted diet of less than 20 grams of total carb per day. Endocrinologist Dr. Broda Barnes, who spend decades researching thyroid function and worked with hundreds of thyroid patients, recommended a minimum of 30 grams of net carbohydrate (total carbs minus fiber) for individuals with hypothyroidism, in conjunction with thyroid replacement. If you have Hashimoto&apos;s and want to follow a keto diet, it seems wise to avoid extremely severe carb restriction for extended periods of time. Similarly, although mild intermittent fasting (such as eating all meals within an 8-hour window) is fine, prolonged fasting of 24 hours or more isn&apos;t recommended for people with Hashimoto&apos;s because it places undue stress on the thyroid. Avoiding or limiting certain foods if you have Hashimoto&apos;s may help reduce symptoms or potentially even slow down disease progression. Since certain foods are known to exacerbate autoimmune disease, removing them from your diet or sharply cutting back may potentially lead to improvement in symptoms and/or disease progression. 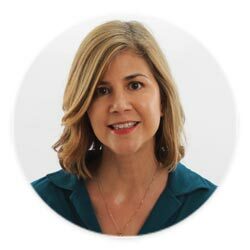 Dr. Izabella Wentz, a pharmacist with Hashimoto&apos;s, reports that following the Autoimmune Paleo Diet (AIP) has been successful in helping many of her readers and patients reduce symptoms and thyroid antibodies. However, this approach is quite strict because in addition to the foods above, it excludes eggs, dairy, nuts and seeds, caffeine, and alcohol. We are all different and what works for one person may not work for another. Start with the basic recommendations to follow a carb-restricted approach and avoid gluten, grains, legumes and soy. If the symptoms persist more than two months after making these changes, consider excluding some or all of the foods listed in the AIP protocol. Many plants contain goitrogens, compounds that can interfere with the thyroid&apos;s ability to take in iodine and inhibit the action of TPO. Because they provide antioxidants, micronutrients, and fiber, giving up these vegetables altogether isn&apos;t recommended. Fortunately, sufficient iodine intake can counteract the potentially negative effects of goitrogens. In addition, fermenting, microwaving, steaming, or boiling these vegetables can reduce their goitrogen content by 33-50% or more, depending on the length of cooking time (17). Because iodine is needed for thyroid hormone creation, getting enough in your diet is crucial. However, extremely high doses of iodine can be problematic as well. In one study, a portion of Danish children and adults who took part in a conservative iodized salt supplementation program were found to be at increased risk of developing autoimmune thyroid disease (18). The Recommended Dietary Allowance (RDA) for iodine is 150 mcg for most people and 220 mcg for pregnant women. Supplementing with iodine is a controversial area. While iodine deficiency is more prevalent in developing countries, anyone may become iodine deficient. On the other hand, too much iodine may have negative effects on your thyroid, such as increasing risk of autoimmune thyroiditis or goiter. Some experts recommend that people supplement with iodine because it counteracts the halogens (fluoride, chloride, bromide) that we&apos;re exposed to every day. However, others take a more conservative stance and argue that a balanced diet can provide all the iodine the body needs. The best sources of iodine include seafood and iodized salt, which provides 100 mcg per 1/4 teaspoon. Selenium aids in converting T4 into the active thyroid hormone T3. A recent 2017 review concluded that selenium supplementation may be beneficial in those with Hashimoto&apos;s thyroiditis who have low selenium blood levels (19). However, this must be coupled with adequate iodine intake. The recommended daily intake for selenium is 100-400 mcg per day. The best food source of selenium is Brazil nuts, which provide about 50 mcg apiece, on average. However, Brazil nuts vary in size and selenium content. Additional sources include other nuts, seafood, poultry, and meat, including organs. Researchers have shown a link between low vitamin D status and Hashimoto&apos;s thyroiditis (19, 20). In one study, providing high-dose vitamin D therapy to deficient adults with Hashimoto&apos;s resulted in normalization of their serum vitamin D levels and a 20% reduction in TPO antibodies (20). Sun exposure is the best way to increase vitamin D levels naturally. Vitamin D can also be obtained from regular consumption of fatty fish such as mackerel, salmon, and sardines. However, for some people, supplementation may be required in order to maintain serum levels within the optimal range of 30-60 ng/mL. Overall, it appears that although low-carb and keto diets reduce levels of thyroid hormones in the blood, this doesn&apos;t seem to impact health, ability to lose weight, or energy levels. On the contrary, many people respond to carb restriction with improvements in body composition, vigor, and health markers. Additionally, a low-carb or ketogenic diet limited in inflammatory foods may be beneficial for those with Hashimoto&apos;s disease. However, extreme carb restriction (ie, less than 20 grams of total carbs daily) on a long-term basis isn&apos;t advised for those with autoimmune thyroid disease. It is advisable that individuals with hypothyroidism, consume a minimum of 20 grams of net carbs (total carbs minus fiber) every day. As with many things in nutrition, the optimal level of carb intake for thyroid health varies from person to person. Monitoring how you feel and perform, your thyroid hormone levels, and your antibody status can help you create a personalized low-carb lifestyle that is optimal for you.
. Everyone says how the weight just fell off. I don’t know what else I can possibly do. I am so sad. I’ve tried so hard. I am concerned about Alzheimer's. I have elected to use caprylic acid to provide my ketones. My regular diet is the MIND diet. I do not want to eliminate glucose since my neurons apparently use glucose or ketones for energy. By providing both I am hoping my neurons can selectively find what they need. Are there any advantages to a low carb high fat diet approach that I am missing? Caprylic acid or MCT supplementation seems to be a far more "natural" approach. Great article! I've had Hashi's for more than 25 years. I do an autoimmune paleo diet with a keto calorie spread. Going grain-free and dairy-free made a huge improvement on how I feel! I also avoid eating raw broccoli and cauliflower now as in the raw form they are thought to be irritating to my body. Thank you for this article. I have Hashimoto and have been on the lowest form of levothyroxine. For the last 4 years. (I’m 33 now) I did Keto about 2 years ago for a year (then fell off the band wagon and straight into the sugar and cake pot). I went from a size 16 to a size 12 in 2 months. I am now at a tight size 14 lol. I had also had GERD and the diet fixed that. I’m coming back to it and in the last year have found I have a nightshade intolerance. So I was a little worried about what vegetables to actually eat on the diet, as I don’t want to exacerbate the thyroid and nightshades can be problematic. Thank you very much for sharing, as I know I am not the only woman who is struggling with issues that relate to this. However, I did put myself on a strict Keto diet for 1.5years and was relieved to get my period back eventually. I did not increase my carbs or protein, but I did increase my fats and started drinking chaste berry tea. I have hypothyroidism (I've never been told that it is Hashimotos, so I assume it is not). I've had some strange blood results recently. My TSH is high (9+ range), my T-4 is normal (towards upper end of normal range), and my T-3 is low. Any ideas? My doctor asked if I am taking my synthroid every day, have I done anything different. She is keto herself. I have actually increased my carbs lately, focused more on a nutrient-dense diet, rather than a super-strict low carb. I have a good amount of protein (at 52 y/o I do not want to lose lean mass), and 50-70 total carbs (probably around 30 net carbs) daily. I have been taking Kelp (150mcg) about 2-3 times a week. I don't use table salt, so I don't get iodine from that source. I do eat wild pink salmon (canned) almost every day. Thought I'd try taking Kelp every day leading up to my next retest. I also eat Brazil nuts most days, about 6g serving. In addition, I have been doing an OMAD/24 hour fast twice a week. I am trying to increase my insulin sensitivity (and it's been working, down from 84 to 37 on my last test (Canada testing numbers). I also intermittent fast for 18/19 hours every day (non OMAD days). Anyway, any thoughts would be appreciated! I'm not experiencing any low thyroid effects, my weight is quite stable, I'm in maintenance mode however would still like to reduce my body fat (I'm working to reduce my fat intake a bit, still keeping it at 65-70% of daily calories). Thank you for this article, which I have found very helpful. I have recently had a full thyroid profile and am trying to assess and understand the results (no point in discussing with my doctor as my TSH is 1.42 and that is good enough for her). My T4 & T3 are just below optimal ranges RT3 is mid range but TPO is 78 and TG 230. I am trying to work out how to lower the antibodies and it is good to know that my way of eating is not going to cause harm, but I will now be more careful about letting my carbs drop too low (which I frequently do)! I am already taking a vitamin D supplement (levels very low) and I will now introduce Selenium (can’t eat nuts)......so again, thank you for this very helpful article. Hi, I am about to embark on a Keto lifestyle. I am 46, overweight, and had a thyroidectomy 15 years ago due to thyroid cancer. Prior to that, my thyroid levels were normal, I just had a golfball size tumor. I am currently on a relatively high level of thyroid hormone. What can I expect from a Keto diet in terms of how it could affect my thyroid levels since it is supposed to boost metabolism. Mine is regulated by meds. I have literally been the same weight now for 10 years. I can't seem to loose any. Now I'm considered pre-diabetic. Hello Jill, I'm sorry to hear about your thyroid cancer and resultant thyroidectomy. Since your thyroid has been removed, your thyroid levels are maintained solely by the thyroid hormone you take. Keto diets sometimes but do not always boost metabolism. You will need to continue having your thyroid levels checked regularly to determine whether your thyroid hormone needs to be increased, decreased, or maintained. I wish you the best of luck going forward. Hi Jill just came across your post. I have almost an identical story as you except I'm 59. Just wondering how you have been the past two months since your post. I'm also doing Keto but not much luck with weight loss. Thank you for tackling this important subject. Perhaps, the highest population of people with thyroid issues are those with subclinical hypothyroidism. These are people who are asymptomatic, but who have TSH levels which exceed the normal reference range, but are less than 10. As it happens, I have been one of these people for over 10 years now. My TSH runs around 8 pretty consistently. I lost 60 pounds last year on vegetarian keto (staying around 30 net carbs a day). While I still have 40+ pounds I would like to lose, the scale doesn't seem to want to budge. I'm calling this a body-enforced maintenance break. Reading this article is now making me question if keto is a good idea for me at all. All those recommended food restrictions you mentioned in your article would be impossible for me. Scratching eggs, dairy, nuts and seeds off my list, along with goitrogen vegetables, wouldn't leave much. I also eat soy and gluten in the form of tofu or meat analogues for variety. As it happens, I'm going for blood work today. Hopefully, this will help illuminate this situation I find myself in. Hi Linda, I've been following low-carb approach (20-50 g net carbs a day) for the last 7 years. I have Hashimoto's and noticed a huge difference in my antibodies when going off gluten, legumes, soy and reducing carbs. They dropped from almost 900 to 63. I eat all those foods: eggs, dairy, nuts and seeds. I hope this helps! That's great, Martina. And thank you for sharing your experience. In my case, I don't have positive antibodies. It's good to know that you are able to eat eggs, dairy, nuts and seeds. One other point: subclinical hypothyroidism is controversial because theoretically the person is asymptomatic; however, difficulty losing weight can be a symptom of low thyroid function. A TSH of 8 is definitely well outside of the optimal range, as 5 is typically the standard cutoff, and many functional medical MDs believe a TSH should be no higher than 2 or 3. Of course, it's important to have all thyroid hormones and other markers (free T3, free T4, Reverse T3, and antibodies) tested and evaluate symptoms in order to determine whether thyroid replacement is indicated. Thank you for sharing your experience with me. I'm still waiting for my blood test results. Many years ago, I was put on synthroid because my TSH was around 6. Generally, I am not a fan of treating numbers on a lab report. So, after taking it for 8 years, and experiencing disabling insomnia, I tapered off it. That was 5 years ago. My insomnia is gone. I've lost weight. But, this course commits me to thyroid testing because in any given year, there's a slight risk of escalation into frank hypothyroidism. I know there is some disagreement about the optimal TSH range in endocrinology circles. Of course, being stuck at new lower weight setpoint that is still higher than I want it to be is making me more open to exploring my thyroid health in a new light. Excited to hear you tapered off thyroud meds. I was told that once you start you must stay on for life. I have been considering for a few years now. How did you do this? This depends on the type of thyroid issue - perhaps in Linda's case it wasn't autoimmune? In case of Hashimoto's the damage is almost certainly irreversible and medications are "for life". I am in need of serious advice in regards to Keto diet, cardio and having no gallbladder or thyroid. I cannot seem to loose weight no matter what! I'll bet you $1 million that sugar and carbs cause hyperthyroidism in the first place. Just like other autoimmune diseases like diabetes type 1 sugar/carbs are probably the triggering poison that causes severe harmful imbalances in the body. I am hypothyroid with zero antibodies. So am not sure about Hashi's. I am following Ketogenic girls 20 total carbs program. Do you feel it is advisable to up my carb intake to 30 0r 40 total carbs? I am working to heal inflammation in my body which causes pain in my joints, mainly hands, feet, knees, and sides of calves. We did need to up my thyroid meds, Naturethroid, but this had started BEFORE I went keto again. I do experience more hair fall out, but blame my thyroid for that. Do you have thoughts or suggestions? I read that you have hashi's but follow a very low carb/keto program so your input is greatly appreciated! I like your articles! I have Hashimoto and I reduced my carbs intake to zero or about and can't say that it effected my thyroid negatively. If anything, my TPO's actually went down. And like one of the commentators, I too developed gout issues but they seem to subside as described in the paper by Steve Phinney and Richard Johnson and I hope it won't return. Hi Franziska, this is in response to Patty's comment. I have had Hashimoto's Thyroiditis for about 10 years. Now I don't know anything about the Keto Diet except that it has something to do with Carbs. I do however know a bit about Low Carb eating. About 5 years ago I lost 65 pounds Low Carbing and was never hungry. The toughest time, because of cravings, was getting into Ketosis but that lasted only days not weeks. I used the Keto strips to mark my progress. Within the next 7-8 months I had lost the 65 pounds,was not hungry, and have maintained it since despite regular eating the past couple of years. Would like to get back to low carb eating because I felt my best during that time, but groceries have gotten too expensive and my family also eats what I would eat plus all the carb go withs and fillers. It is not necessary to be hungry all the time when low Carbing. 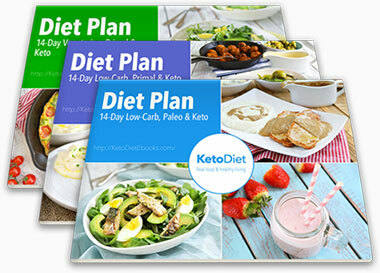 User the Keto strips to guide you. I've been asking doctors since I have thyroid cancer, on Levothyroxin, and had a thyroidectomy 2/2016, if there's a diet I should be on, since my weight is up 75 lbs., extremely fatigued, and they just say no. So I'm trying Keto. Hungry all the time. so far I lost 3 lbs. Maybe it'll work. I also have had my thyroid removed. I stay under 50 carbs a day, and have removed all wheat, corn, potatoes, rice, soy, syrups and sugar completely from my diet. I eat very limited fruit such as strawberries, blueberries, blackberries, cantaloupe, and an occasional apple. My protein comes from cheese, fatty and lean meats, fish, and lots of eggs. I also eat nuts, real butter, use heavy whipping cream, stevia sweetner and drink coffee. I have lost 38 lbs since April 2017. Adding that amount to no longer gaining the 4 to 6 lbs a month I had been gaining makes it even better. The medicines I take are cytomel, (a t3) and a small dose of synthroid. (a t4) I had to teach my doctor through my research that I needed T3 even though my blood worked showed in the normal range. Now I am pretty much back to my old self. Good luck to you. I hope this helps and you find the answers you need. In 1993, 80% of the right side and 20% of the left side of my thyroid was removed due to a goiter brought on by Graves disease and they also found cancer. Over the years since, my thyroid has pretty much died so my body relies completely on replacement hormone. My question is, with my thyroid history, do I have to take the same precautions of a person with thyroid disease since I basically have no functioning thyroid left? While on a keto diet, my thyroid levels went way off the map. I have Hashimoto's and was not aware that keto would be so challenging. I stalled at a very low ketone level; however, my dr wanted me off keto and we are now working to correct my thyroid levels. I was also shocked that I developed an intense case of gout. That was painful and scared me off from keto. I wanted to reboot and try again because I believe in the fat vs. sugar for fuel concept. Thank you for this article. I have Hashimoto’s and have been keto for almost two months. I have been eating only about 15 g of carbs per day, and while I have had some success so far with weight loss and a general increase in wellness, I am concerned about long term effects. I can see I need to increase carbs through veggies and slightly decrease protein (I’m always very close to that limit per the Keto Buddy calculator). Thank you again for this! I have been a Hashimotos Thyroiditis Disease/ Hypothyroidism patient for 39 years of my life. I was diagnosed at age 11, and I am now 50. I can say first hand for me, LOW CARB/ KETO diets can BACKFIRE on those of us suffering from this disease. Everyone is different. So before offering and suggesting that Hashimotos/ Hypothyroidism patients try this, they need to consult with their Endocrinologist. I gained weight when I cut my carbs. Per my doctors advice as well as my personal trainers advice, most of us need to ingest 30-50 carbs per day to fuel our bodies properly. I know many Hashimotos patients who also tried low carb / Keto, and it backfired on them as well. Ask your doctor first and allow your doctor to monitor your results and go from there.